This is a fantastic watch for the Professional divers. This Citizen Promaster Aqualand is fully dedicated to diving. Underwater it shows the depth up to 80 meters. This watch has Chronograph functions. With this Citizen Aqualand Promaster a diver can know the dive time and the temperature of the water. The alarm function in this watch is awesome. 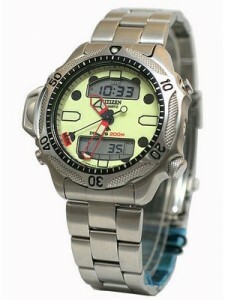 The diver can set the Depth alarm and Dive time alarm. You can set the alarm for normal use also. The watch has Maximum depth indicator for better diving. 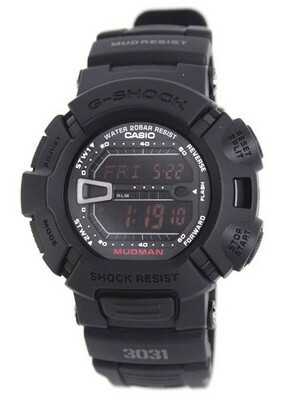 The water resistant of this watch is up to 200 meters depth. The masculine body of this watch is made up of Stainless Steel. The specialty of this Promaster Citizen is its analog and digital display. It makes very convenient to read the watch. The good thing in digital display is the low tolerance. Besides the critical timing bezel, a watch made for diving needs to be clearly legible in low light or murky conditions. There is a One-Way Rotating Elapsed-Time Bezel over the case which can be adjusted to set the initial time and makes time measurement very easy. This Citizen Promaster Watch has the Quartz movement. The best thing in Quartz movement is its accuracy and low maintenance. This Promaster Watch has Screw-Back Case and Screw Down Crown these assures the resistivity of watch from dust and moisture. A perfect match to the sculptured case – the bezel also offers protection to the watch crystal. The case diameter of this watch is 44mm and case thickness is 14mm. This watch is available for US $250.00 with us. Newsletter : Seiko Monster Diver 200m Watches from US$ 199 only! 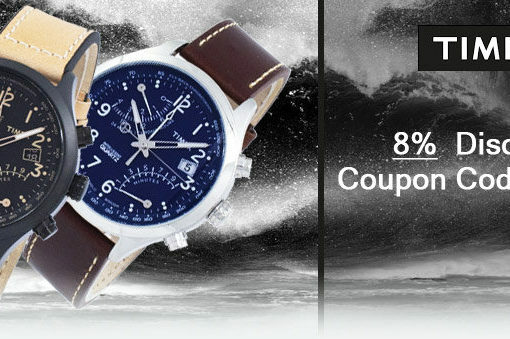 Newsletter : Timex Watches On Sale – Additional 8% discount code inside!! !